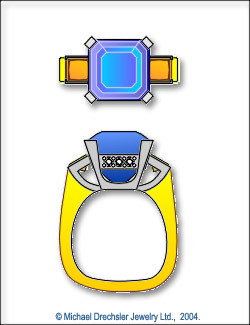 * 2 Princess Cut Vivid Orange Cultured Diamonds. 2 = 1.14 carats, SI clarity. 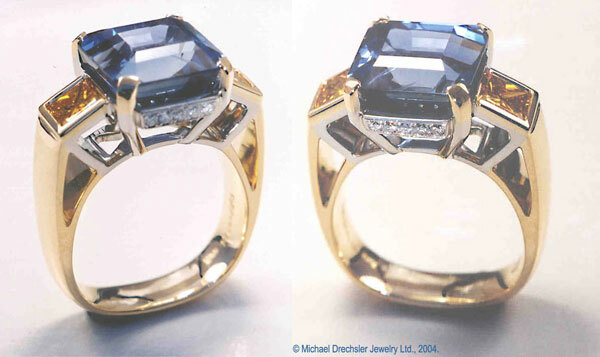 * 10 x 0.01 ct., natural diamonds pav� set on sides of sapphire setting. 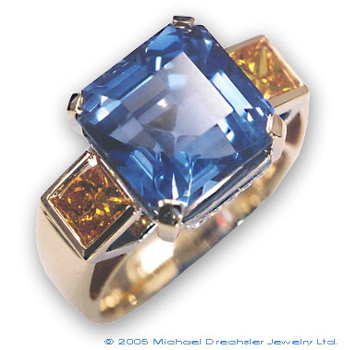 15 carat Sri Lankan Sapphire with matched Vivid Yellow Created Diamonds as shoulder stones. Dramatic!